New generation Ambarella A9SE75 Chip, Sony IMX377 Sensor, and 7 layers of high-quality LCE glass lenses. Records 4K/30fps at 60 Mbps, best in its class. Customized with a 330ppi high resolution and high sensitivity retina touchscreen for an intuitive experience. An integrated 2.19" Gorilla Glass LCD screen, resists scratches and daily impact, and is viewable from a 160°angle. Action videos usually require post-production to reduce shakiness. 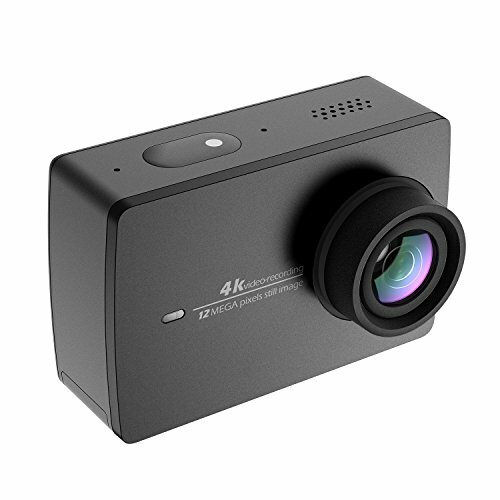 With YI 4K Action Camera, you can avoid extra time spent editing due to the camera's EIS feature, which uses built-in gyroscope and accelerometer sensor to detect position and motion change. Image sensor automatically senses light conditions, while an advanced ISP processor adjusts the frame rate and parameters to produce high quality images in low light.